We are an innovative, progressive web and interactive design and development agency made up of a team of creative and dedicated individuals with one goal in mind - to work with clients who recognise the value in investing in the future of their brands and products online. We can produce anything from feature rich, dynamic websites to innovative rich-media internet advertising campaigns, digital video, 3D, games and sound design, all of which are produced in-house. Mad Dog Digital create elegant, user friendly websites with online content built on a solid content management and rock hard web standards. 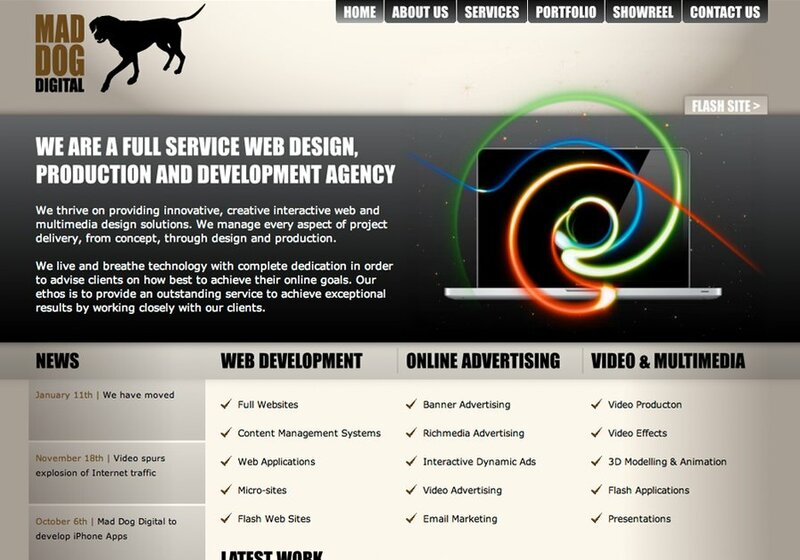 Homepage screenshot of our new maddog.ie web site.